Our teachers guide their students with productive “On Task” practice techniques. This is the single most essential factor to successful lessons. JC Music offers both vocal and instrumental lessons 7 days a week on most any instrument! Our staff will help you find the right equipment and instructor to help take you to the next level. Call or stop by today to discuss the many options we offer with our fun, educational and rewarding music lesson programs! JC Music offers our students performance opportunities through our Student Showcase Concerts. Each spring, we hold a Student Showcase and each October, we have our annual ”Spooktacular Student Showcase” filled with all spooky music and everyone in costume. Each summer, we offer numerous fun and educational Music Workshops for our aspiring musicians. We also recognize one student each month with our Student of the Month award, for outstanding progress on their instrument. The Annual JC Music Summer Workshop offers an exciting and interesting array of classes for your summer. With the exceptional teaching from our distinguished faculty, we know that both children and adults will be coming back to the JC Music Summer Workshop, year after year! Our popular group lessons are available for piano, ukulele, and guitar. Learn in a group environment and have fun playing an instrument while making new friends. Students will work together towards common goals such as reading music, music theory, and playing music as a small ensemble. Classes meet weekly for one hour sessions. Group lessons start at only $69 per month! How many lessons before I play well? With each student being unique, it is impossible to answer such a question. Basically, the more a student practices with dedication, the sooner the student can reach a satisfactory level of performance, and Age is an important factor as well. Patience with young children is a necessity. It is not uncommon for a student to play quite well after a year of lessons, but keep in mind that learning of a musical instrument never ends! Our rates are very affordable, starting at ONLY $29.00 per half hour lesson! Both private and group lessons are available! We also offer instrument rentals along with an introductory special for all of our students. Lessons take place once a week and are payable by the month through autopay. 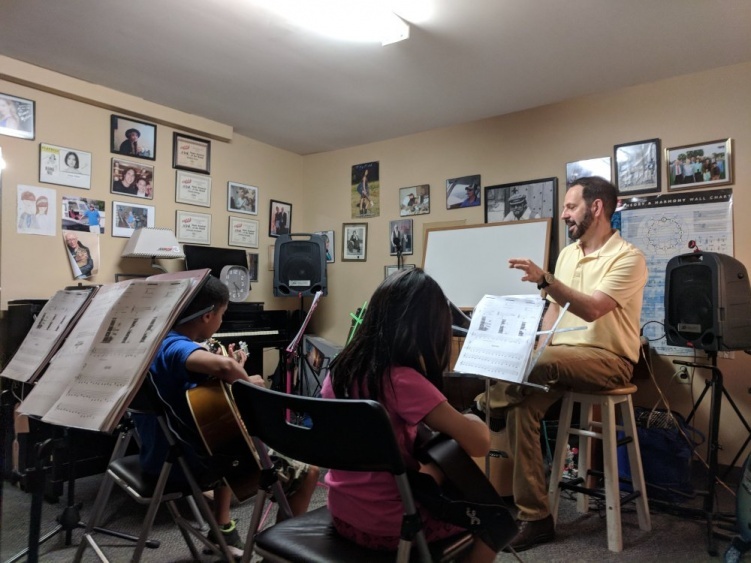 Fill out the Form below to get in touch with our Lessons Director and tell them everything they need to know to help get you going with music lessons!